From the title itself, that's my problem. Trying to install on an amd proessor w/ via graphic. - Boot the latest peppermint 4 32 bit using grub4dos iso mapping from an external hd NTFS. 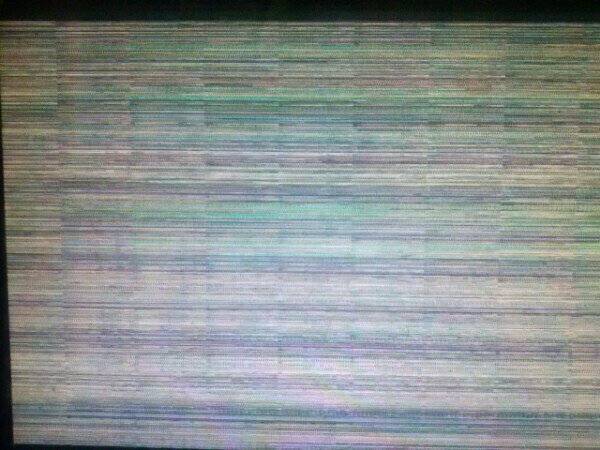 - lived cd iso boot normally and display the desktop but after awhile, garbled screen w/ horizontal lines. And cant do anything. If this is already been solved, please point me or give me a link. Do you have another graphics card you can try ? sad to say, dont have one. Is this a problem with a LiveCD, or with Peppermint after installation ? If "LiveCD", how much RAM do you have ? livecd, i haven't installed yet. no problem with ram, i had 2 gb. do you think its a problem with video card or screen resolution or refresh rate? it's working fine when i boot with puppy. any other ubuntu based distro, same results. Well the drivers used on the Live session are going to be the default vesa drivers as *hopefully* opposed to the openchrome drivers in a "proper" installation. That said, the vesa drivers are usually pretty stable for most (if not all) cards. Might be interesting to do a "Proper" installation .. possibly to an external HDD or a USB stick if the system can boot from a USB stick .. and see what happens with the openchrome driver. I'm booting off from usb hdd or stick. The only diff is I'm using grub4dos iso mapping. I tried already adding xforcevesa acpi=off nomodeset, still the same results. its that after a couple of minutes this will be the desktop. b) will be adding another layer of complexity to memory management .. so even if it's possible wouldn't be a reliable way to know what the outcome would be after installation. As far as I'm aware there's no way to reliably load other graphics drivers in a "live" environment .. even a persistent one .. same goes for the kernel. Then we could make sure the openchrome drivers were being utilised. Have you tried any other Ubuntu based distro's ? maybe Lubuntu .. or Peppermint 3 ? do they have the same issue ?